The topic of blood donation seems to be a divisive one. There’s those of us who are adamant that donating blood is against what we believe in (or we just dislike needles). And there’s those of us that are happy to regularly donate blood and do our bit to help save lives. There’s also those who are on the fence and aren’t informed about what blood donation entails. I used to be part of the latter group. I knew I wanted to help make a difference but I didn’t think that donating blood would do so much for so many. My eyes were open the day that I became extremely ill and needed to go into hospital a couple of years ago. Since then, I’ve educated myself about the wonder that is our blood and just how important it is to save lives. Especially because one of the lives that were saved thanks to blood donation was mine. My story is quite a graphic one and one that I am not emotionally ready to fully go into. It’s a story of extremely heavy periods, miscarriages, and haemorrhaging. And even though it’s not entirely solved and I still suffer from issues when it’s “that time of the month”. Plus the anaemia that marks my day to day life. But a blood transfusion actually saved my life. When I went into the gynae unit on a Monday morning, after waking up and suffering from palpitations, I didn’t expect to be in hospital for over 48 hours. After being checked and probed for hours, it was determined that my haemoglobin levels were dangerously low and I needed to be checked into the hospital. I thought that I would be monitored and that my haemoglobin levels would return to normal after a few days time. The reality was that my levels were so dangerously low due to extreme blood loss that it would take weeks for those levels to rise and the blood that I had lost to replenish itself. That led to a blood transfusion being the way forward. 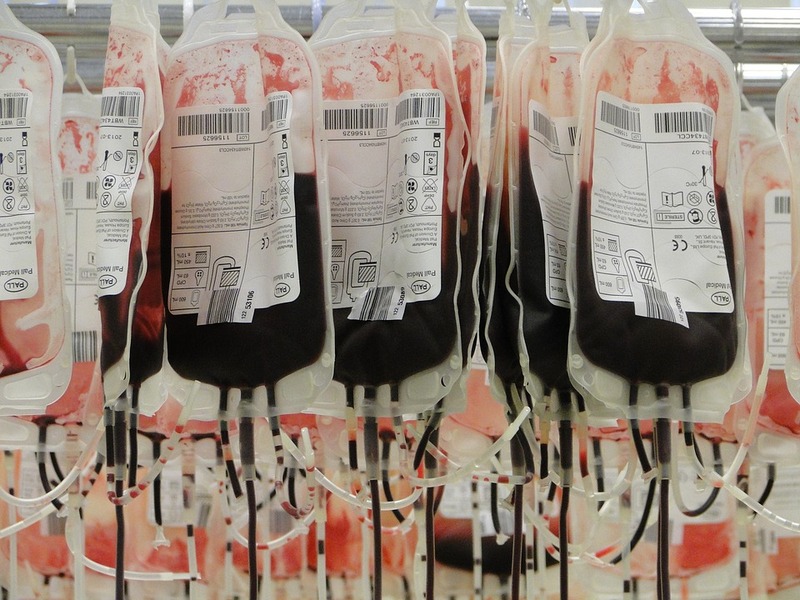 I was given 3 units of blood and once the second bag had been emptied into my veins I could feel the life coming back into my body. That blood transfusion saved my life and I will forever be grateful to the donors that made it possible. I still can’t donate blood myself due to the severe anaemia I live with. But I know that as soon as I am healthy I will do my bit to pay it forward. 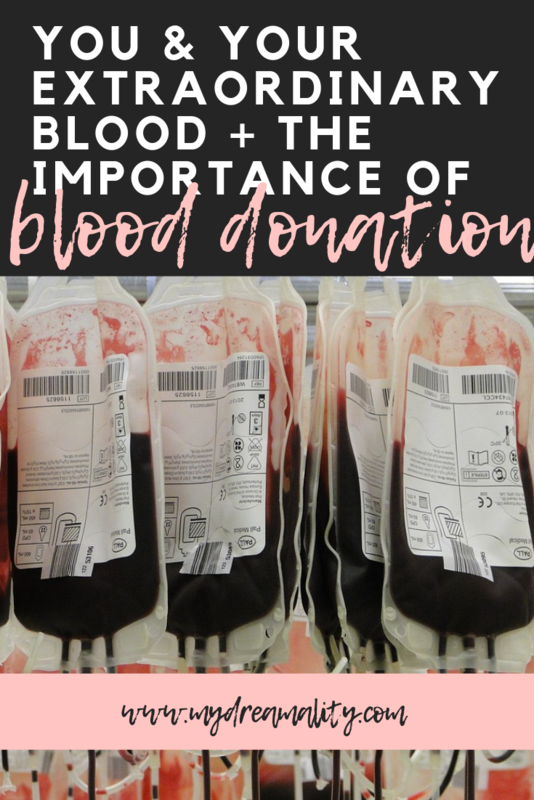 So, why is blood donation so important? The short answer is because it saves lives. Blood isn’t only needed for those crucial times when saving a life is of the essence. It’s an element that is extremely important to have to hand to treat all types of conditions. There always needs to be a regular supply available to the hospitals and patients who need it. If you have a rare blood type it’s crucial that you donate as the rarity makes it that much harder to come by. On that note, if your blood type is O negative, or what’s considered the “universal blood type”, your blood is probably what’s administered in emergency situations. Meaning that when there’s no time to ask questions about blood type your blood type can save a life. There are 3 main components of your blood – red cells, plasma, and platelets. These are used to treat many different illnesses and conditions. There are so many ways for us to raise awareness for blood donation and the importance of it. One of them is to normalise it. And a way that we can normalise it is by expanding our knowledge. There’s a plethora of information available to us online but it’s difficult to sift through it all. Which is why tools like the interactive tool launched by Medical Travel Compared are a fun yet accurate way to find out more about how blood works specifically in your body. The tool is super simple and fun to use and is even adequate for your kids to use it and learn more about how unique their blood is. You enter your weight in stones and pounds and it will tell you approximately how many pints of blood are in your body. It also tells you the amount of red blood cells, white blood cells, and platelets you have, and how quickly your blood regenerates. It even has a counter that tells you how long you’ve been on the page and how much blood has been donated worldwide within that time frame. It’s a great way to normalise blood donation and make it part of our every day lives. That will then lead to blood donation becoming part of the culture in your household, and what a wonderful culture to have.